Why not? They may not be ideal as house pets, but there is something about having a feathery companion that likes to be by your side helping you weed, keeping up conversation, and providing you with nutritious eggs everyday that people certainly find appealing. Is a chicken the right pet for me? The first thing you will need to check on are the laws in your city and county. Some counties prohibit the ownership of “farm animals” within city limits. But if they allow you to own chickens you are in the clear. The second thing you will want to determine is how much time you are willing to put into providing your chicken with a clean, healthy, and happy environment. Coops must be mucked out at least once a month. Eggs must be picked up every day. Chickens require feeding and watering constantly. They require a coop and preferably nesting boxes that will also have to be kept clean and sanitary. Be aware that hens tend to make better pets than roosters. 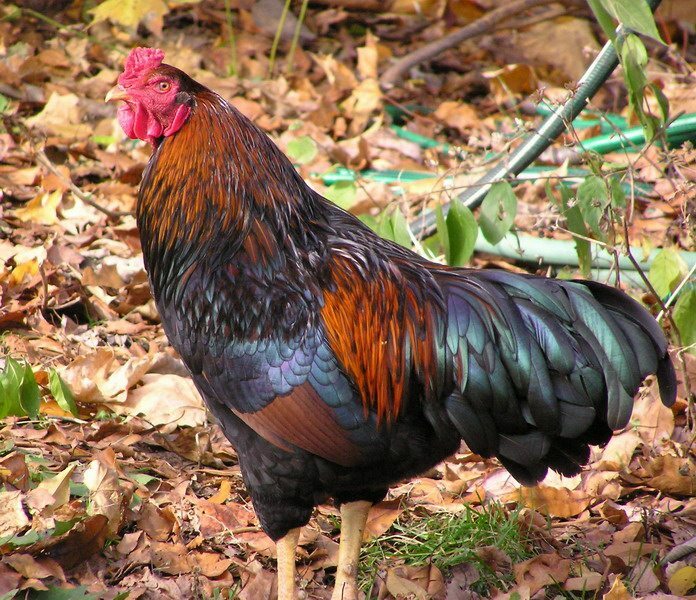 Roosters can become aggressive as they get older and this can be dangerous to both yourself and any other pets or children. Also, hens will lay eggs regardless of fertilization. There are many breeds of chickens, some more prolific egg layers than others. Research them and find out which breeds are best for you. Chickens come in a variety of sizes, shapes, colors, patterns and temperaments and can be purchased as day-old chicks, pullets, or full grown hens. Chicks will bond to you better than an older chicken, but they require significantly more work and in most cases take over whatever part of the house they are growing in. Do you have a lot of space? Home raised chickens are free-range. They need a lot of space to walk around in, dirt to scratch in, and scraps to eat out of your hands and the hands of children. 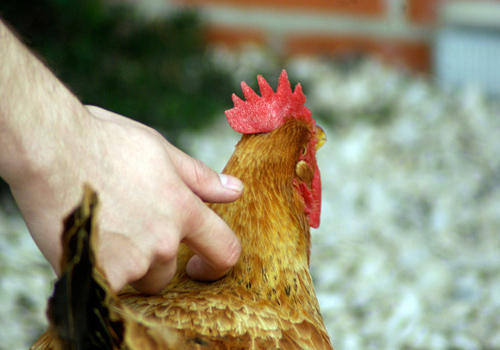 Feed your chickens by hand and they will greet you with clucks and runs to get your attention when you come to visit. In short? No. A chicken is not a good house pet. Unlike smaller birds, they like to walk around on the ground. Most chickens do not fly. They love to scratch and peck and mingle; keeping a house chicken in a cage is not the best way to raise one. In addition, chickens are very social creatures and do best in pairs. In fact, if you’re considering getting more than two, get four. This way they will all have a BCC or Best Chicken Companion. They are very messy eaters and will get into everyone’s food. You cannot teach a chicken table manners as they have no problem hopping up onto the table to peck at your food and see how it tastes. Chickens also cannot be potty trained, which is probably the greatest reason that they do not make good house pets. Chickens eat all the time and happily poop all the time as well. While a fantastic fertilizer, it is not sanitary to have them pooping at random all over your house, on your counters, and up on your dinner table. While a pair of hens make excellent outdoor pets that children love to collect eggs from and pick up and pet, they are not ideal indoor companions. 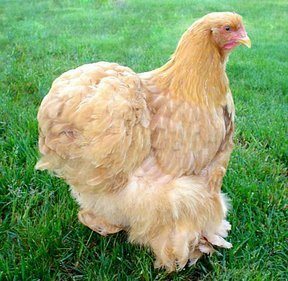 In short, a chicken is an excellent pet if you are living in an area where they are allowed and you have the time to devote to caring for them. They will reward you with outdoor companionship, many giggles and chuckles and healthy, rich, all natural eggs. Children love having their own petting zoo at home and enjoy being given the job of collecting the eggs from the nesting boxes.